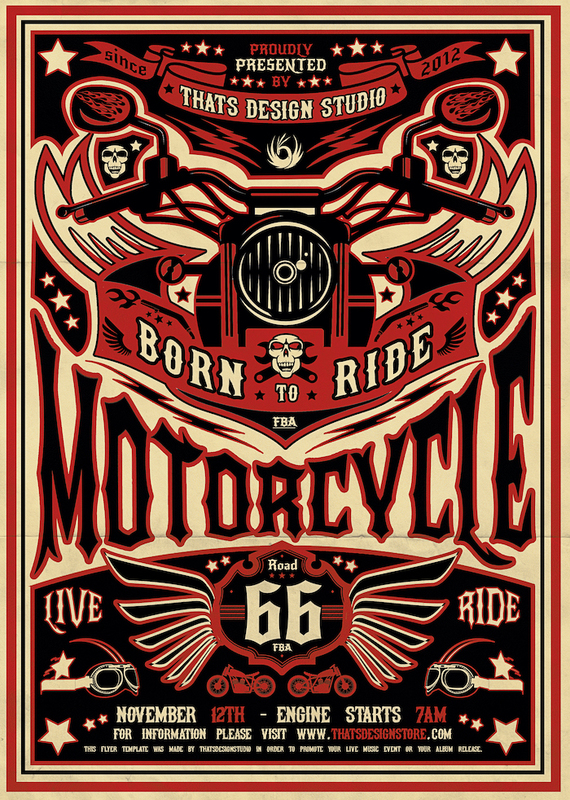 Motorcycle flyer design PSD is a 100% editable and ready to print template. 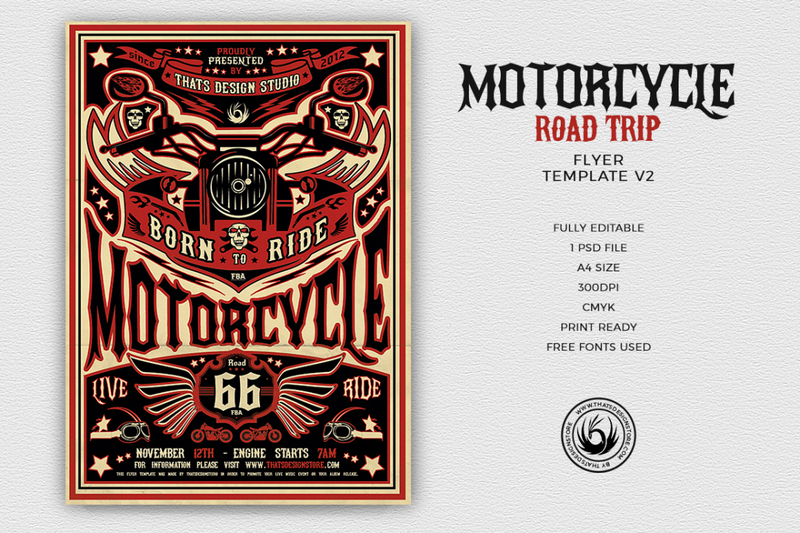 Customize your Bike psd flyer template easily as you’ll Save time and money! 1 Photoshop psd file, 1 help file. Our Layers are labeled, color coded and organized in groups for easy navigation. You’ll find Free Fonts download links provided within the help file. Also follow us on Facebook https://www.facebook.com/thatsdesign to follow the novelties as we add fresh flyer templates every day! If you have some requests or questions, do not hesitate to drop us a message. We’ ll be happy to help you. 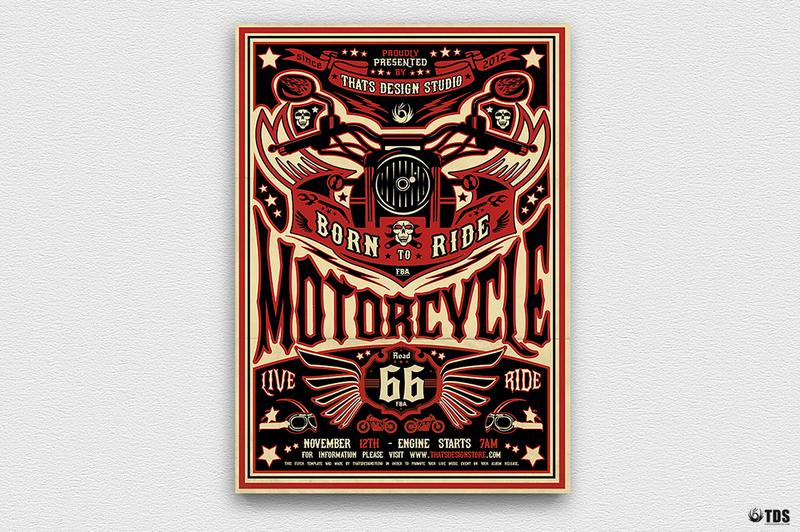 Download this Flyer Template so you can Customize it with your Photoshop. It’s ready to print and 100% editable. Free Download links are only available for our Members. If you have a Membership with us, please Login. If you are not, Join the family!